Thanks John. Really appreciate your comment. I still have to read Great Expectations. How was it? I just want to say I’m beginner to blogging and site-building and seriously savored this web blog. Very likely I’m want to bookmark your website . You absolutely come with really good posts. Regards for sharing with us your website. This was my pick to read in commemoration of the 200th anniversary of Charles Dickens and I am sure in part this is his favourite because he was able to channel so much of his own childhood and experience into it, in the freeing way that writing fiction allows. Writing his own story tormented him, it is amazing how he was more free to imagine it in a slightly different form. Thanks for sharing your favourite books on my blog Marion and introducing me to a couple of new authors, will be looking for Helprin as well, have seen the name coming up, have a feeling perhaps he has a new book out? Your blog is a must read for me and I look forward to your book reviews. They are thoughtfully written and interesting. I must admit I hated Dickens when I had to read it in middle school. 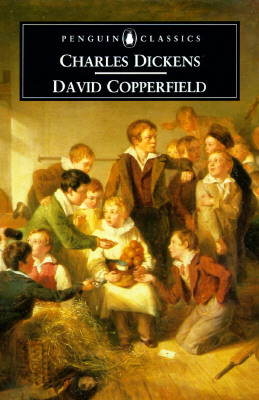 However, I read David Copperfield in my early 30’s and loved it. I can still remember scenes and the maturing of David. Dickens has been accused of sentimentality in his novels by his critics but I thought it worked well in David Copperfield. As for Mark Helprin, he published his latest novel, In Sunlight and In Shadow, in Oct 2012. I have not read it yet. My favorite Helprin novels are Winter’s Tale and A Soldier of the Great War (which could have made favorite 5 list). He writes beautifully fat novels dare I say like Dickens. LOL! I would start with Winter’s Tale first and then read A Soldier of the Great War.